YOUR SEARCH IS OVER!! 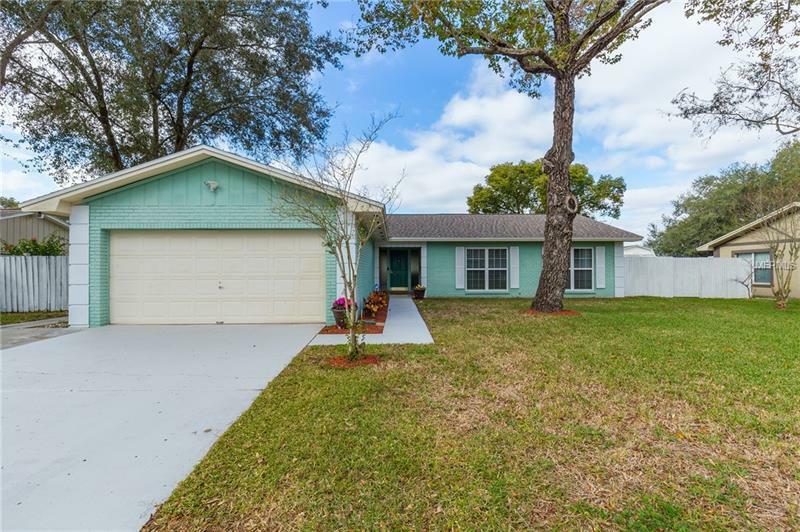 You don’t want to miss this lovely 3 bedroom, 2 bath POOL home that sits on an oversized, FENCED ¼ acre lot in the heart of Brandon! This home is located close to shopping, dining and entertainment and enjoy NO HOA. Bring your toys because there is plenty of room to park a boat or camper to the right side of the house. This home features plenty of windows that make for an abundance of natural light, beautiful real hardwood floors in the main living areas & bedrooms, with tile in the kitchen, dining area, & bathrooms. The white shaker cabinets pull the remodeled galley kitchen together & has lots of storage & counterspace. The drainfield was recently replaced, along with a new roof, & the windows throughout were all replaced with low-e double pane for energy efficiency. You’re going to love the screened pool area with the covered porch & the fenced backyard with a large storage shed. The elementary and middle schools are both less than 0.5 miles away!! For Downtown commuters this location is perfect being just a few minutes from I-75 and the crosstown! Put this home on your must see list!